A golf outing serves as a relaxing and enjoyable experience for the whole family. Getting your friends, family or social group involved with your passion for golf takes creative measures such as weekend outings and holiday adventures. From local hot-spots to far and distant destinations, some excellent ideas for outings can be cost-friendly or extravagant. Whether you're wanting to practice your golf swing or play a full round, finding something to do for an outing keeps you ahead in recreation with your friends and loved ones. A kid-friendly golf outing proves fun for the children and relaxing for adults in attendance. Whether you're a parent, scout leader or school teacher looking for field trip ideas, a kids' golf outing serves as an athletic and fun experience for everyone involved. Depending on your region, some local golf clubs offer children's facilities for public use. This makes planning your outing an easy to achieve endeavor. A kid's golf outing also serves as an opportunity for you to get some practice while teaching the kids how to deliver a proper golf swing. 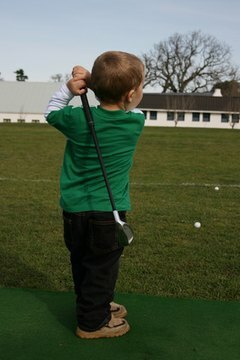 You can also arrange with a local golf instructor to take an afternoon to instruct the children during your outing. A healthy picnic lunch on the course gets the children out in nature and satisfies their hunger after a day of golf and outdoor activities. For instance, a menu of golf-related foods adds to the theme of your children's golf outing. Cupcakes frosted and decorated to look like golf balls could be a big hit with your children or students. Serving them on a platter of green tinsel gives them the appearance of being on the green. Kids ordinarily love sweets, and when it comes to incorporating them in a theme such as a golf outing, they prove to be popular. Aside from putting instruction and mini-golf games, kids may enjoy other games with the chances to win prizes. Printed word searches focusing on golf-related words gives the children a fun and academic way to earn small prizes such as golf-themed stickers and coloring books. 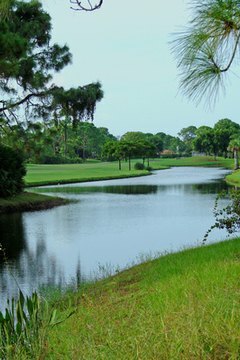 Views of a golf course offer a beautiful and relaxing environment for a book club outing. A golf outing organized for a book club serves as a creative way to get outdoors and it provides a reason to introduce golf literature to your club's reading itinerary. Golf courses and country clubs often provide dining facilities on their premises. This allows for a comfortable outing with your book club for a tea party and discussion of some of your most favored literary works. 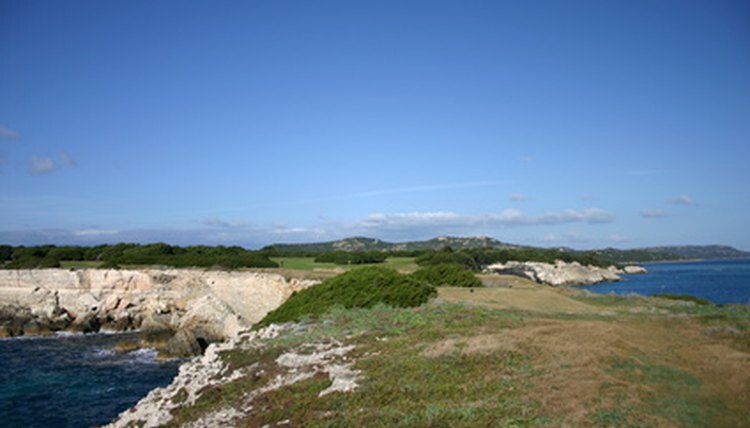 The atmosphere of a country club or public golf course is breathtaking, with views of the green surrounded by foliage. Finger sandwiches, iced tea and flavorful desserts add to the relaxing golf outing theme for your book club. Keeping the menu simple yet flavorful and decorative keeps the theme casual. Some book ideas for a literary discussion at a golf outing include instruction guides and inspirational novels written by some of the most famous names in golf. Some golf courses offer pet-accommodating facilities. Golf enthusiasts with pets sometimes find it difficult to travel or go out on day trips when they have pet-related priorities. Fortunately there are many golf clubs and resorts throughout the United States that offer pet accommodations to individuals and families who play on their courses. Check ahead of time to see whether you can bring your dog along with you to the driving range or for a whole 18 hole round. Organizing a pet-lovers golf outing serves as a wonderful way to get friends with pets out and about to socialize with other pets and friends. Whether you play golf or not, pet-friendly golf courses feature lush green grass on which to play disc golf with dogs, as well as picnic areas for outdoor dining with your pet group. Some necessities to bring along on a pet friendly golf outing include fresh water and bowls, dog treats, leashes and snacks for you and your non-animal friends. A long day of outdoor activity can leave your pets hungry and thirsty, so include them in your picnic to make the outing fully inclusive.